The G.O.A.T., a 10,000-square-foot, two level sports bar with more than 50 HD television monitors, has opened its doors in Clarendon in the former Hard Times Cafe space on Wilson Boulevard. 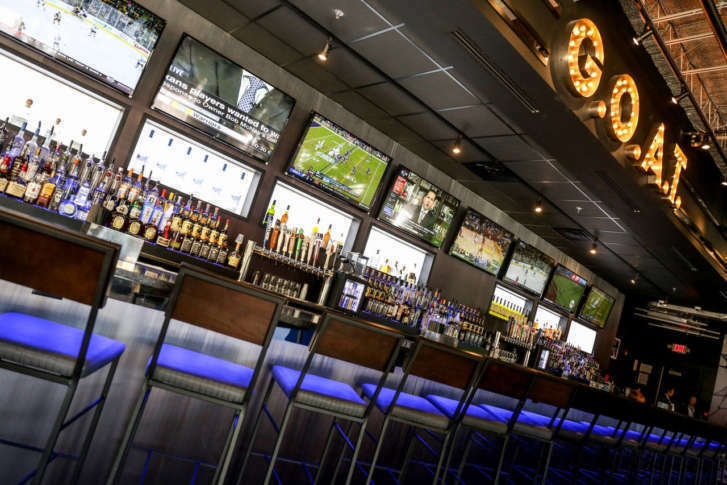 WASHINGTON — The G.O.A.T., a 10,000-square-foot, two level sports bar with more than 50 HD television monitors, has opened its doors in Clarendon. Short for Greatest of All Time, the G.O.A.T. takes over space of the former Hard Times Cafe at 3018 Wilson Blvd. The G.O.A.T comes from veteran Northern Virginia chef Mike Cordero, whose other restaurants include A-Town Bar Grill, Barley Mac, Bronx Pizza and Subs and Don Tito, all in the Rosslyn-Ballston corridor, plus Don Taco in Alexandria and Primetime Sports Bar and Grill in Fairfax. The sports bar seats 350 and includes three full-service bars. It also includes three 12-foot TV walls, and a private event room on the second floor with its own bar and DJ booth. The menu includes fillet mignon skewers, bigubi wanton tacos, smoked duck sliders, seared rare tuna salad and short rib grilled cheese. “The G.O.A.T. is an inviting sports bar that can be enjoyed on game day and well into the night,” Cordero said. “We’re thrilled with the final look at feel and looking forward to providing goers with the greatest guest experience of all time,” he said. Cordero opened The G.O.A.T. with MACNAC Hospitality business partners Nick Cordero, Scott Parker, Ryan Demagistris and Jason Fisher. It is open Monday through Friday from 3 p.m. to 2 a.m., as well as weekend brunch.